See scan - perfect condition. 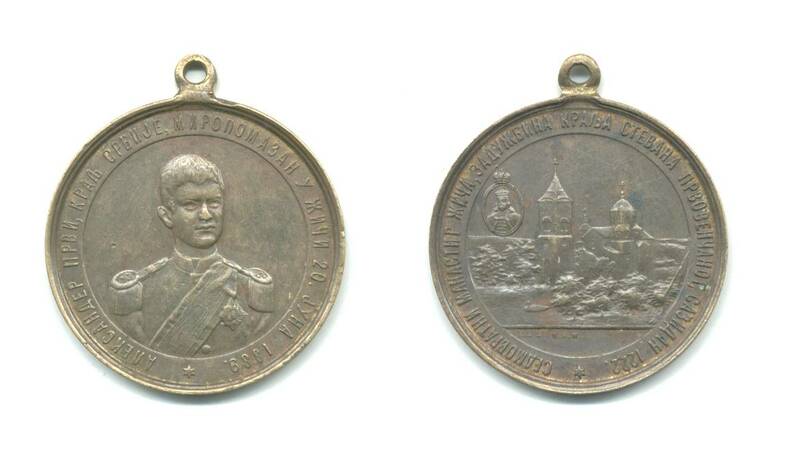 This is a very rare Serb / Yugoslavia / Yugoslavian Royalty King Alexander I June 20th 1889 Coronation Ascension large bronze medal. Obverse of the medal is a portrait of the King and reverse is the church where the ceremony took place and built by king Stephen in 1222. Rare and scarce collector piece.